Illinois courts are required to make parenting plan determinations without regard to the parents’ genders. The criteria they do use to create parenting plans include each parent’s history of being involved with the children’s day-to-day lives and their individual relationships with the children. 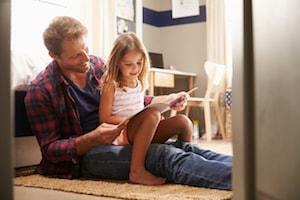 Despite strides toward more equal parenting efforts between mothers and fathers in recent years, the reality for many Illinois families is that the children’s mother handles many of these aspects of childrearing, and that often means that it makes more sense for the children to spend the bulk of their time with their mother after their parents’ divorce. As a father, it can feel like you are being shut out of your children’s lives. You might even feel like the court is biased against you because of your gender or that there is no reason to try to pursue an equal parenting plan, because courts favor mothers. This last point is based on a misconception, but this nonetheless drives many men to simply accept the parenting plans their spouses and the courts handling their cases put forth, rather than voicing their interests and fighting for more equal arrangements. Since 1942, alimony has been tax-deductible for individuals who pay it and taxable income for individuals who receive it. However, this will be changing on January 1, 2019, when changes made to the federal tax code by the Tax Cuts and Jobs Act of 2017 will go into effect. 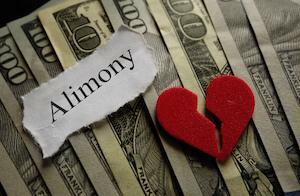 The new alimony law is a huge disruption to divorcing couples across the nation. Now, many couples already in the process of divorcing may need to reevaluate how they are looking at their divorces and what they can expect after their divorces are finalized. If you are considering seeking spousal maintenance in your divorce, or if you anticipate being required to make payments to your former spouse, discuss the law change with an experienced divorce lawyer to get a better sense of how it will likely impact you personally. It could mean having to alter your divorce strategy in order to reach a more favorable settlement. It is also a good idea to speak to an accountant about your current tax obligations and how they will change with the new tax code, and this advice can supplement the information you receive from your lawyer. On July 1, 2017, Illinois’ new child support law went into effect. Under this new law, child support orders in the state are established according to a method that considers both parents’ incomes and the percentage that each contributes to a combined family income. This is known as the income shares method. If you have an existing child support order that was established under the old guidelines, it will remain in place unless you choose to modify the order. The same rules still apply for child support order modifications, such as the requirement that parents wait at least three years from the order’s establishment to modify it and that they demonstrate how changed circumstances necessitate the modification. 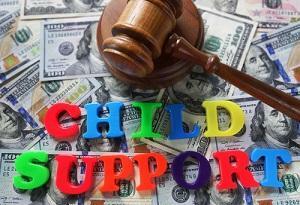 Your modified child support order will then be developed in accordance with Illinois’ new guidelines. 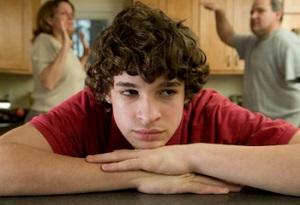 A divorce can have a significant impact on a child’s mental health. How significant of an impact the divorce has on a child’s psyche is dependent on multiple factors, such as the level of conflict present in the household prior to the divorce, the parents’ relationship during the divorce and afterward, the child’s age, the circumstances present before, during, and after the divorce, and the child’s personality. There is no way to predict exactly how a divorce will affect a specific child. Divorcing parents can educate themselves about how their divorce could affect their child and make an effort to reduce its impact on their child’s mental health. Knowing which resources are best for your child and available to him or her can help you to help your child through the divorce. If you and your spouse are considering ending your marriage, you might feel hesitant about telling your children about the divorce. This is natural; no parent wants to give their child “bad news.” But you should not put off this important series of discussions. Below are a few tips to make talking to your children about your divorce easier. You know your child’s maturity level. Depending on your child’s age, give him or her enough information to understand your divorce without overwhelming him or her with facts or sharing inappropriate information. If your children have a drastic age gap, consider speaking to your older child separately to provide more information after your initial announcement. These days, almost everybody is on social media. Your friends are on it, your colleagues are on it, your parents are on it, and your children might even be on it. Social media is so deeply immersed in our lives that not using it can make an individual feel like an outsider. Social media platforms like Facebook and Instagram can bring people together and help them build meaningful relationships and enact social and political change. But social media can also be used destructively, from teens using it to cyberbully each other to uninformed users spreading incorrect and even dangerous information among their peers. One thing to always remember about social media is that once content is uploaded to a platform, it is there forever. Although you can delete a comment or a post, you cannot guarantee that before you deleted it, somebody else shared it or took a screenshot, keeping a copy of your post alive forever. When you are working through a divorce or a family court issue such as modifying a parenting time agreement, the content you upload and share on social media can be used to support a claim about your lifestyle. 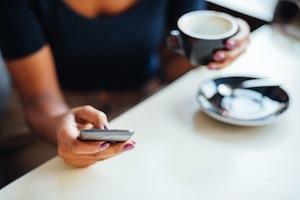 This is why individuals engaged in the divorce process are advised to limit their use of social media or avoid it altogether until their divorces are finalized. When a child is born to a married or recently divorced mother, the mother's husband or former husband is presumed to be the child's father. He automatically becomes the child's legal parent, which means that he has the same legal rights regarding the child that the child's mother has. But not all children are born to married or recently divorced mothers. According to the Centers for Disease Control and Prevention, 40.2 percent of babies born in the United States are born to mothers who are not married. In this type of situation, the child's father must establish his paternity in order to be legally considered the child's parent. Failing to establish a child's paternity can make it difficult for the father to have a relationship with the child if his relationship with the child's mother ends because if he is not a legal parent, he cannot work with the court to establish a parenting time schedule or determine his parental responsibilities. It can become necessary to work with an experienced Illinois family lawyer to establish paternity and gain these rights. Although the term “paternity” is often used colloquially, Illinois law now uses the term “parentage” because it can refer to an individual of either gender. A forensic accountant is an accountant who uses his or her expertise to conduct an investigation of an individual, group, or company's financial past. In a divorce, a forensic accountant may aid the court by examining the couple's financial history and current financial outlook to determine an appropriate way to divide their property and fair child and spousal support amounts. If one party suspects that his or her spouse is hiding assets in an attempt to keep them from being divided in the divorce, a forensic accountant may be asked to investigate this. “Forensic” simply means “suitable for the court of law.” When a forensic accountant investigates a married couple's finances, the accountant's findings may be submitted to the court for consideration. Talk to your divorce lawyer about what a forensic accountant may and may not do, how the data he or she obtains may be used, and what you should do to prepare for a forensic accountant's investigation of your assets. Many divorce and family lawyers have forensic accountants in their professional networks. This is because forensic accountants frequently work with divorce lawyers to determine their clients' true financial situations during the divorce process. 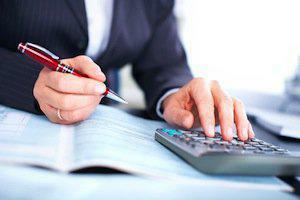 A forensic accountant is often just one of the professionals a divorce lawyer asks for help with a client's divorce. Usually, a divorce is a team effort. Other professionals who may be asked to help with your divorce include a real estate appraiser, a child custody evaluator, and a financial adviser. When a couple divorces in Illinois, their assets are divided equitably between them. These assets include everything the couple earned or developed during their marriage, such as their home, their joint savings account, their personal possessions, and their retirement accounts. The only property that is not subject to division during the divorce process is singly-held property, which includes anything either partner owned before entering the marriage or property gained through inheritance or as a gift. Otherwise, assets such as pensions, IRAs, SEP accounts, and 401(k) accounts are all subject to court division under the Illinois Marriage and Dissolution of Marriage Act. 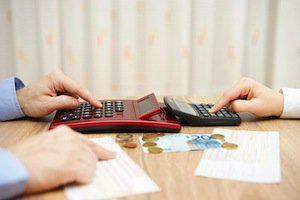 Dividing your retirement accounts with your spouse can change your financial future. It could mean that you will have to work longer than you initially envisioned or that you will need to make some changes to how you save and invest your money. To learn more about how the court division of your retirement assets will affect your financial health after the divorce, speak with an experienced Kane County divorce attorney. By the spring of their senior year, most high school students know if they will attend college the following fall and if so, where. Planning for college can be stressful for every member of the family, from the prospective student making sure he or she meets all admission requirements and deadlines to parents figuring out how their child will afford college. College is expensive, and many families begin saving for this expense years in advance and approach it with multiple funding sources, including scholarships, loans, the student working an on-campus job while attending college, and the parents paying some expenses out of pocket. In a family where the student's parents are still together, determining how to fund the student's education can be difficult. 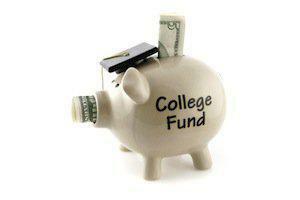 When the student's parents are divorced, determining how to pay for college can be even more difficult. Unless a couple specifically included plans for their child's college expenses in their child support or divorce agreement, coming to a fair determination can be challenging. Work with an experienced Kane County divorce attorney to determine the options available to you and your family.